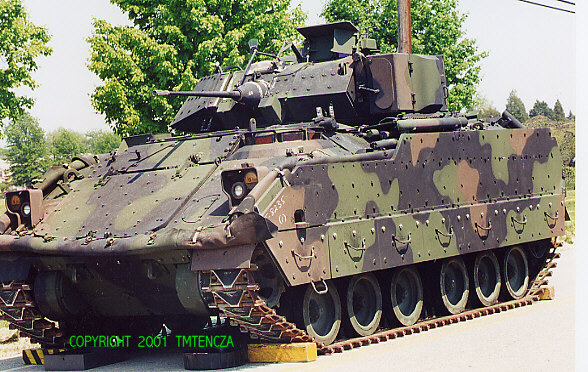 The improved M2A2 is equipped with heavier armor added to the hull sides and bottom increasing the weight, as well as many other changes including improved drive and suspension. 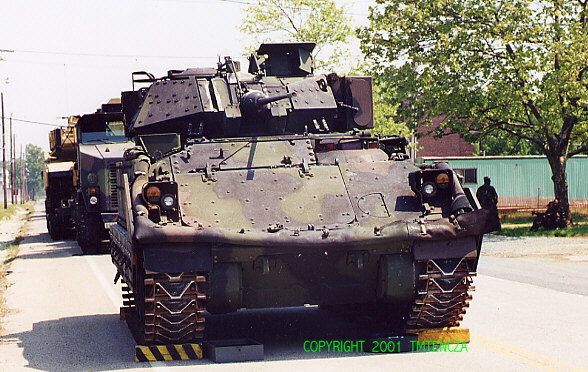 The Bradley is used to provide transport of an infantry squad on the battlefield. 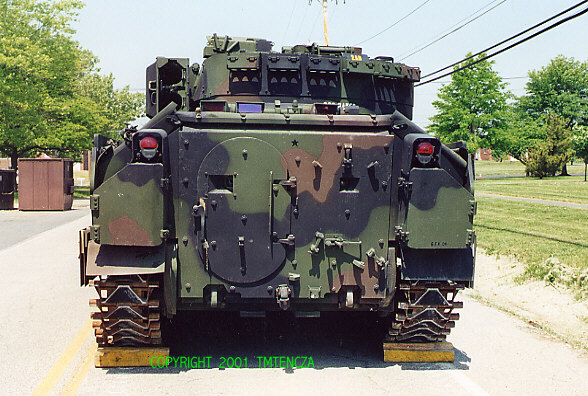 The infantry can enter/leave through a hydraulically operated ramp at the rear or through a hatch on the roof. 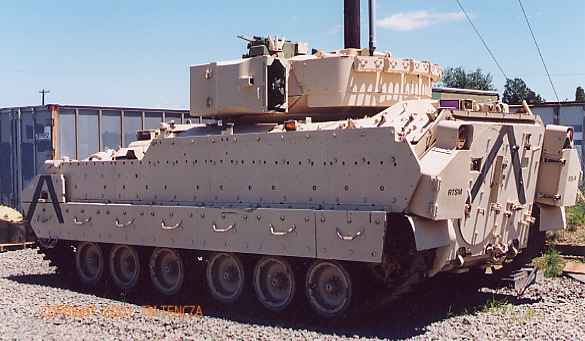 It can keep up with the Abrams cross country while providing medium and long range firepower. The main "Bushmaster" chain gun has a dual feed system to provide either AP or HE ammunition at the flick of a switch. The gunner can select single shots, 100 rpm or 200 rpm rate of fire. When facing heavier armor, it relies on the TOW Anti-Tank Missile System . Range is 4 kilometers with a massive shaped charged high explosive war- head capable of destroying enemy MBT's. All Bradleys are amphibious. Over 2200 Bradleys were employed in Desert Storm and only 3 were disabled.